New Rock Bits (NRB) specialises in the development and production of high-quality drilling rock bits and components for drilling and mining operations. NRB provides clients with a complete service, from their choice of drill bits to the analysis of drilling results. Implementing unique innovative designs and resources allows NRB to find the optimum solutions that meet the unique requirements of any project. NRB’s special wear-resistant composite materials coating and unique design allows for both tungsten carbide inserts (TCI) and steel toothed (ST) coated models to create flexible variants of cutting structures. These are designed to withstand greater pressures and significantly extend the efficiency and the half-life of the bits in complex drilling operations. Roller cone bits have different cutting structures in accordance with the drilling application. 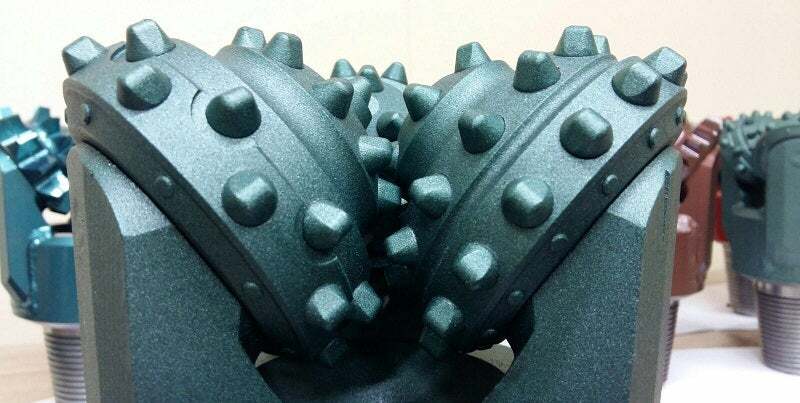 TCI or ST coated, with wear-resistant composite materials and journal bearings provide the resource parameters specified rotation rate of the drill string, weight on bit, footage of the well interval, as well as the chemical composition of the mud parameters or air mixture for well circulation. The stability system of bits provide the drilling ability of directional wells. NRB’s high-tech polycrystalline diamond cutters (PDC) drill bits are designed for water, oil, gas and geothermal well drilling. Highly durable steel reinforced with polycrystalline diamond cutters increases durability when compared to conventional roller cone bits by up to five times, as their specific features are resistant to wear. Since PDC bits lack moving components in their design structure, the risk of breakage is imminently reduced and subsequently provides a significantly longer half-life. PDC bits with distinguished durability offer a high performance rating and minimal axial load for high rollover protection structures (ROPs). Spiral gage provides better cleaning quality, reduced torque, and enables the drill bit to avoid whirls. The drill bit stabilising design features reduced vibration, eliminates the risk of cutter breakage, and enhances directional control when steering a given course of a well path. The combination of these features allows drillers to reduce the cost of drilling each metre. Manufacturing lines are equipped with the latest models of specialised equipment from leading world manufacturers, which provide a given level of quality and performance. The organisation and management system of quality corresponds with all international standards and requirements of the European Union. NRB only uses the materials certified for compliance with quality requirements of environmental and health safety.